Each new skill is dependent on the previous one. And, they are all dependent on one important skill—a good instrument scan. Anything less than mastery of this skill is sure to bring your educational machinery to a smoking, grinding, flaming halt. IFR Training is a Demanding Aviation Training Marathon. They put you in an airplane, restrict one of your five senses by attaching a medieval ornament to your head, tell you to disregard your sense of feel, and clamp speakers over your ears so you can listen to someone talking way too fast saying things you don’t understand. Then they let you watch two, swishy little needles as you hurl toward Earth at 100 knots and, at 200 feet above the runway they say, “OK, you can look up now.” Aren’t these the same words mom used in the theater after the scariest part of the movie? It’s called instrument training. While not exactly scary, it can be a demanding aviation training marathon. Few ratings have as high an information-to-lesson ratio. But, while hard work does forge instrument skills, smart work makes the experience more enjoyable. Let’s examine how you might toil less and work more intelligently when pursuing an instrument rating. Most IFR students have very little understanding of what to expect during their instrument training, and the expectations they do have are generally wrong. This is a big source of frustration for these students. While the Airman Certification Standards delineate the objectives, they don’t even hint at the difficulty of achieving those skills. Because of this, it’s easy mistake the menu for the meal. In other words, the skills we read about on paper are much more difficult to achieve in the airplane. Consequently, we develop an unrealistic expectation about our anticipated achievement. For instance, many students secretly aim to quickly rack up 40 hours of instrument time, then march to the designee’s office for a check ride. I had one student who figured he could crank out the required flight time in about a week and a half. After all, he already had five hours of hood time for his private license. And he figured he could whip up the 20 hours of allowed simulator time over the weekend in the comfort of his own home with a rental desktop ATC 610. He even told me he didn’t need to work on VOR navigation since he was already proficient in that area. I, of course, couldn’t resist giving him a little VOR quiz to test his proficiency. When he first uttered the words, “You mean, you’re not supposed to keep twisting the OBS to keep the needle centered?” I knew he wasn’t the omni-bearing-master he claimed to be. His accurate appraisal of IFR training difficulties was limited by lack of a reality tether to keep him from drifting beyond the Van Allen belt. Here’s a good reality check to appraise the challenges of a new rating. I call it logbook archaeology. Find several newly rated instrument pilots and ask to examine their logbooks. You’ll find that few IFR students obtain their rating in 40 hours. In fact, most instrument students require about 55 hours of instrument training before they’re qualified to take their check ride. This isn’t necessarily a reflection on student competency as much as it is on the complexity of airplanes and airspace. 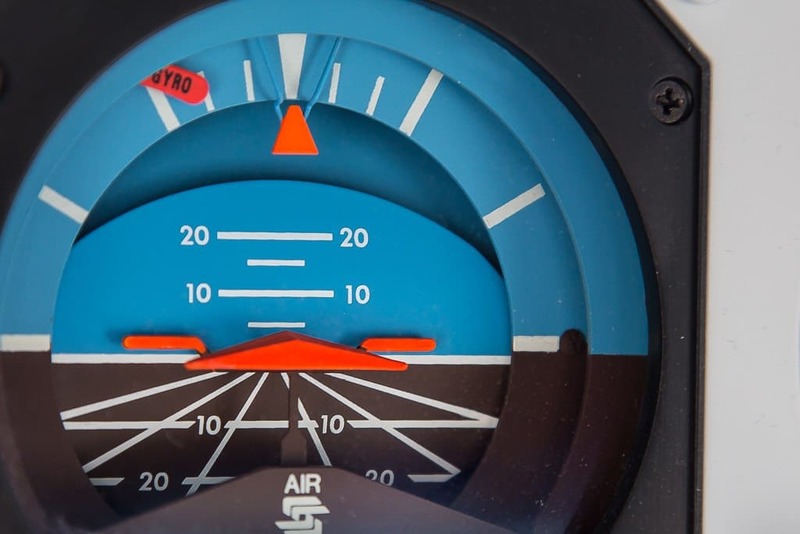 The knowledge requirements for the instrument rating haven’t changed much in the last 50 years. Airplanes and airspace, however, have changed dramatically. Another interesting aspect of logbook archaeology is to observe where the learning clusters are. I call it by this name because you’ll probably find that several topics (instrument scanning, holding, VOR navigation, etc.) required a cluster of several lessons before it was time to move on. You’re most likely to observe a learning cluster in your logbook when you were learning to land during private pilot training. Typically, landings take longer to learn because they require an enormous collection and connection of smaller building block behaviors. Thus, several hours (i.e., a cluster) are dedicated to achieving this skill. How does this apply to instrument training? To a certain extent, learning to fly instruments is similar to mastering as many as 10 or more distinctly different skills, each as demanding as learning to land an airplane. Yet, each new skill is dependent on the previous one. And, they are all dependent on one important skill—a good instrument scan. Anything less than mastery of this skill is sure to bring your educational machinery to a smoking, grinding, flaming halt. Looking a little closer at a few of those logbooks, you may notice some instructors spend as little as five hours on developing their student’s scan before moving on to approaches. In these instances, the typical learning clusters becoming less defined and more spread –out, because students end up repeating many of their previous lessons. After all, how can you focus on holding patterns or approaches when controlling the airplane is as difficult as attempting to pinch a wet watermelon seed? Here’s one of the most important secrets about obtaining your instrument rating. I guarantee that if you follow this advice, learning IFR will be a much more pleasurable experience. Beg and plead with your instructor to allow you to perfect your instrument scan before you move on to another aspect of instrument training. Don’t be in a rush to move on to navigation, holding, or approaches. Don’t fall into the glamour trap. Beginning instrument students too often seem to think that the be all and end all of instrument flight is flying an approach, which they see as the sexiest IFR operation. They chafe at any delay in getting to the “real action.” Unfortunately, when they get there, they’re often ill-prepared. It’s not unusual for well-prepared students to spend as much as 15 hours developing a good basic instrument scan. Student frustration and extended learning time is almost guaranteed when a good scan is sacrificed for other more adventurous IFR activities. On the other hand, if a good scan were all there was to trouble-free IFR training, the instrument rating could be earned with relative ease. Unfortunately, it’s not. Equally important is development of confidence in your ability to handle the vagaries of instrument flight―controller directions, holding, clearances, real weather, etc. Unlike the private pilot curriculum, however, instrument training doesn’t support the development of intermediate levels of confidence before you’re allowed to fly IFR. While student pilots can solo to help develop their confidence, there is no such thing as an instrument pilot solo. The first day you fly real IFR on your own is the day you obtain the instrument rating. How do you know you can copy clearances, follow vectors, and hold without your instructor on board? Wouldn’t it be nice if there was a way to test and develop your mettle during the process of instrument training without your CFI on board? There is. A few years ago, one of my instrument students wanted to practice her approaches at our home field at Long Beach, California. She had about 30 hours of instrument time toward her IFR rating and we were commencing to work on ILS approaches. I suggested she depart VFR, call the approach controller, tell him she was an instrument student and ask for a “VFR practice instrument approach.” Of course, this was to be done only in VFR conditions during hours of lean traffic (obtain your CFII’s permission before you do this). This precise phraseology indicates to the controller that no IFR flight plan is being filed and that the flight is to be conducted entirely in VFR conditions. For safety’s sake, I required her to have a VFR observer along, despite her doing the practice ILS (instrument landing system) without donning a hood or Foggles (Foggles are pilot training glasses that meet all IFR rating requirements. The lenses are partially frosted to block the pilot’s view out of the windscreen, but allow them full view of the instrument panel). What did this do for her? It dramatically increased her confidence in dealing with ATC on her own. Just knowing she could call them up, make a request, follow their instructions, and get on the ILS was a tremendous boost to her cockpit confidence. It added enormously to her ability to handle future approaches with ease and grace. Remember, she did this on her own after she had a basic idea of how instrument approaches were flown. If she’d become confused, there was always the option of mumbling into the mic, telling the controller she wanted to cancel the ILS request and heading for the airport to take cover in the camouflage of the traffic pattern. She never had to do this. Actually, she thrived on this form of IFR solo practice. I can still hear my instrument instructor, “where are you going?” when my heading varied by even 2 degrees. I was doing everything I could to keep the airplane pointed in the right general direction while keeping the shiny side up. The very moment I thought everything was under control he would point out a deviation I hadn’t even noticed yet. As a student or instructor, you may be thinking, “Can shooting an approach (solo or with a CFI) without a view limiting device be of any value?” According to the FAA, it is. In the FAA’s Instrument Flying Handbook, there’s a note to the instructor suggesting that it’s beneficial for students to have some experience shooting approaches without wearing the hood. Grasping the art of making instrument approaches means understanding where the airplane’s been, where it is now, and where it’s going. If you have trouble creating this mental picture, you’re sure to have trouble with approaches. I know this from experience. As an instrument student, I usually saw the localizer twice. Once when I dove through it at the outer marker, and when I recovered at the middle marker. Comparing your perceived flight path on instruments with what you see out the window establishes a valuable cognitive connection. Your understanding now becomes greater than the sum of the input data. Synaptic connections are made. Suddenly you, the student, feel more comfortable placing trust in your instruments. Greater trust means one less distracting mental barrier through which your perceptions are filtered. No, instrument flying isn’t easy. It is a tremendous challenge. If, during the throes of training, the shaking of your head makes a sound like the last “Tic-Tac” in the pack, it’s not because you lack sufficient brain size or mental computing power. It’s probably because you’ve failed to realistically assess the hurdles of instrument training. Logbook archaeology, striving for a good scan, and the IFR solo are all tools allowing you to work smarter, not harder, in pursuit of the rating.